There are 103 reasons to visit Llangollen Food and Drink Festival this weekend. With 103 exhibitors, the festival is one of Wales’ largest and it is celebrating its 18th anniversary this year. The event is supported by the rural development agency, Cadwyn Clwyd. Committee chairman Colin Loughlin: “We have a wonderful array of fantastic food producers clustered in the area and the festival is the perfect shop window for them. The 2015 event will also feature demonstrations by top chefs, including Britain’s youngest head chef, Luke Thomas, and Welsh culinary champion, Graham Tinsley, along with stand-up comedian, Silky, who will show off his cookery skills for the first time ever. 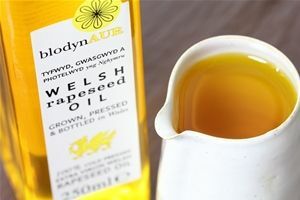 The event is rated among the top 10 food festivals in the UK, and in the past has has helped launch successful products like the Aberffraw biscuit, Blodyn Aur extra virgin rapeseed oil and the Dangerous Food Company’s chilli jam.